There’s an interesting article I just added to the social proof page with links to articles, videos and podcasts on the topic of time blocking, and scheduling everything. It’s entitled: How following a schedule improved my creativity. In my experience interviewing 700 experts for my podcast, the Unmistakable Creative, I discovered a clear pattern among every single person who does creative work for a living. From entrepreneurs and graffiti artists to peak performance psychologists, high performers create on a schedule. Some argue that a schedule is constraining but there’s other research cited at FastCompany which shows that constraints can spark creativity. It’s a similar argument made by those who insist that creativity is a function of professionalism. That is, people who treat their performance achievement like a job they show up to every day are said to produce better results, just because they follow a regular discipline. In other words, they don’t create when they are “in the mood.” They do so when it’s penciled in their calendar. The sheer volume of productivity advice you and I face each day is mind-boggling. As we look to a future in which we must make further upgrades just in order to keep up, we cringe. Are we doomed to surf the internet for random tips, tricks and shortcuts that might fit? How many “Top 3”, “Best 10” and “Secret 99″ lists will we have to read or listen to? Hundreds? Thousands? Really? In the area of time management, the end-result is “improvement overwhelm.” It’s a feeling that with so many potential upgrades to our practices and tools, it’s impossible to choose the best one. Exhausted, we collapse into doing nothing at all. But can there be a better way? Deep down, we hope there is. We know that the future is likely to demand more from us. Getting stuck using old, inefficient tools is not an option. Today, it’s as if we have no other choice than to somehow filter an increasing number of recommendations. This is a losing strategy: at some point, even the best curator will fail. Instead, we need to transform the problem. To keep improving the way we have in the past, we must learn to drive our personal upgrades from a different place: the inside. Rather than being pushed by advertising, blogs, and random notifications we require an internal source. Our journey to the inside begins with a deeper understanding of human development. Psychological researchers tell us that we all follow a similar path in the way we forge a unique time management system. The road we take is described in the diagram below. In almost all cases, the personal system we create is self-taught: it’s all our own. As a result, you have a different set of specific habits, practices and tools from everyone else reading this article. When put together and seen as a single system, it’s not hard to see it has strengths and weaknesses which are uniquely yours. Here is some data that backs this up: it’s borrowed from the hundreds of people who have completed my training programs. As a result, one-size-fits-all, super-simplified solutions may be easy to grasp but rarely work as advertised. The data suggests that they can’t: when people are in different places, using different behaviors, giving them all the same prescriptions won’t work. While it’s simpler for an author to write a “Just-Do-What-I-Do” article or book, it makes things harder for readers who can never become junior replicas. Unfortunately, very few people appreciate this fact. When they discover a blogger’s “Top Ten List of Time Management Hacks” they believe that the writer’s description of an El Dorado of ideal behaviors must also apply to them. When they discover otherwise, time, money and energy have all been wasted. Sometimes people even feel guilty, believing that failure must mean something is wrong with them. There isn’t. They are not to blame. Most simply don’t understand that issues in time-based productivity are a result of stale practices and tools. They worked fine in the past, then suddenly, it seems, they didn’t. Fortunately, this usually means that the changes needed to be made are closer to small tweaks, steadily applied over time, than they are to total makeovers. But developing these solutions, even the tiny ones, isn’t easy. You need to develop three extraordinary abilities. Most people are quite weak in picking up on small but important changes in their productivity. Hoping for the best, they ignore them, believing that things will work themselves out. Lacking a practical knowledge of the processes they use to manipulate time demands, they suffer. They just don’t know what to look out for. As a result, only big failures gain their attention, attached to painful symptoms. Attending a webinar, he’s shocked to learn that the most effective people practice a technique called Inbox Zero, in which they empty their inboxes once or twice per day. Only then does he realize the advantage they have over people like him who practice an unstructured “Skim and Leave Behind” method. On reflection, he realizes that the 10,000 unprocessed email messages in his Inbox are concealing all sorts of tasks he is supposed to do. Recently, his boss warned him that he shouldn’t be dropping the ball by failing to keep up with email. “It lets down the entire team” he advised, before forwarding the email about the webinar. Geoff learns that this situation did not have to become such a big issue. He missed the warning signs. It’s the very opposite of what Sherlock Holmes would do. If you have ever seen him in action on the screen or in a book, you may remember that he constructs an entire narrative based on a few easily overlooked observations. He paints a picture others cannot see, but it all starts with an uncommon superpower: keen observation. He operates a bit like Spiderman who miraculously developed “spidey-sense” when his alter-ego, Peter Parker, was bitten by a radioactive arachnid. With it, he’s able to discern imminent danger even before it occurs. With respect to time-based productivity, anyone who has the ability to detect lead indicators is rare. In fact, it’s a superpower which enables them to see around proverbial corners, and pick up on future issues with their system. For example, you would know that a sudden increase in time demands is a strong predictor of trouble. So is the adoption of a new tool, or an unexpected surge in late nights at the office. These are three examples of early warning signs few bother to notice. Focused on just getting through the day, they fail to see the larger indicators. Neglecting their personal systems, they leave the door open for repeated failure. However, when this superpower exists, you operate like a skilled mechanic who can listen to an engine, picking up on problems others can’t. They must wait for a catastrophe to occur. With this skill, your ability to intervene on a small scale prevents disasters from happening, but they also help you take the next step to uncover root causes. Andrea sat in my class, stunned. She had just learned that she wasn’t incompetent because she couldn’t mentally keep track of all her time demands. In fact, she was quite normal. Her panic dissipated: now she could imagine herself being promoted without the pressure to remember more stuff. Relieved, she could see that it was all a classic case of misdiagnosis. She had correctly identified unwanted symptoms, but assigned them to the wrong causes. Television’s Dr. House is the opposite. His character possesses a fantastic ability to perform expert diagnoses that stump other professionals. Physicians assure me that the show is an exaggeration: in real-life, no single physician covers so many fields of expertise. It portrays a superhuman, but fictional, capability. In the world of time-based productivity, you need skills which touch on these heights. With study and practice, your development of a diagnostic superpower can be a reality. 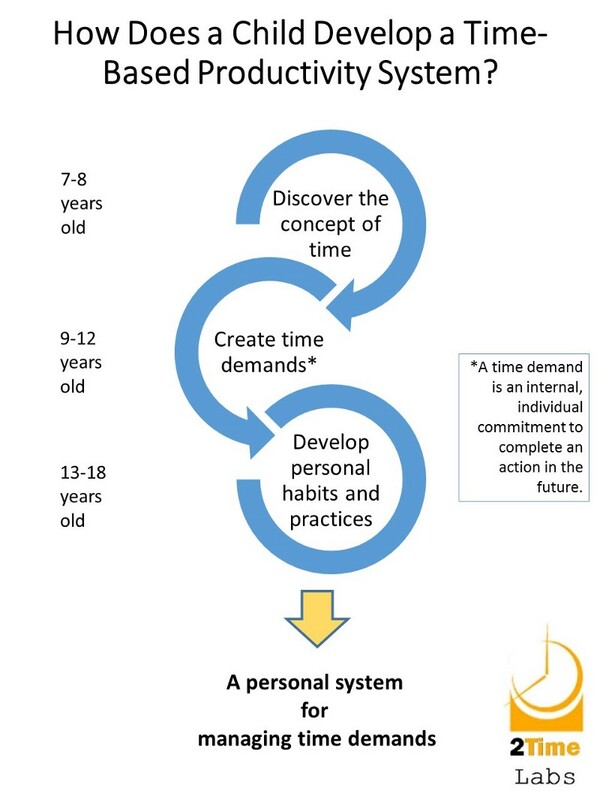 It starts by undertaking a deep examination of your personal system for managing time demands. Without it, you make mistakes. A 2010 survey showed that 87% of people who purchased an iPad intended to use it to increase their productivity. Unfortunately, studies have shown that it has little impact. Instead, it allows for better entertainment and greater convenience. Imagine if Andrea had wasted several months training to improve her memory? This superpower helps prevent such errors. Once you gain an in-depth understanding of how your system for managing time demands actually works, you can diagnose true root causes. Our work at 2Time Labs should help. We have narrowed the practice of managing time demands to 11 observable behaviors: 7 Essential fundamentals supported by 4 Advanced. Because we are self-taught, we unwittingly introduce errors at an early age. They continue into adulthood, where we are often strong in some fundamentals and weak in others, as the data I shared earlier shows. When we assemble them into a single system, it produces defects such as forgotten commitments, email overload and lateness. With this superpower, and an understanding of technology, you can diagnose the root causes of these and other everyday problems in your life. In turn, this helps you focus on the next step: making the right adjustments to your behaviors and tools. Arriving at the Australian Open in January 2017, Roger Federer hoped to beat one or two players. In his mind, it was only a warmup tournament for a year in which, by April, he’d be able to play decent tennis. Coming off a six-month layoff, it was the best he could expect. When he won the singles title, it was testament to careful preparation during his time away. After a complete and in-depth examination of his injury during the previous summer, he made a multi-month plan that included rehab, diet, running and sprinting. In the fall when he finally stepped back on a tennis court he also tweaked his return of serve plus a few other strokes. “It was just being clever with my scheduling, making sure I’m not getting hurt,” he explained. Now, he’s spending a chunk of his time off the court studying what it takes for his 35 year-old physical self to compete with younger players who could be his kids. It’s a great example of the inside-out method one needs to take to change a long-term behavior. In time-based productivity, I recommend you use a similar approach to implementation, a weak point for most of us. Here is the ETaPS method we developed at 2Time Labs. E — Evaluate your current standard of behavior against those which are best-in-class using objective criteria. Look for break-downs of complex practices into small ones which can be measured easily. Ta — Set Targets for new behaviors. Pick a level of expertise or skills which corresponds to your desired goals. P — Plan to make changes for new habits, practices and rituals by stretching them out over time. They should appear to you as baby steps which makes the plan realistic, but easy to implement. S — Support the plan with the right mix of internal and external elements, such as a checklist (internal) and a coach (external.) Put in enough supports to make failure almost impossible. Federer’s approach follows these four steps quite closely. Other players might have been impatient, injuring themselves in their recovery, because they failed to set up a sufficient support system. The fact is, long term change isn’t easy and we often overestimate our ability to make permanent shifts. This superpower, more than any other, keeps you focused on the small changes you need to make. Now, suggested improvements from outside your life show up in the right context. If they support your overall plan, you entertain them. If not, you can safely filter them out of your attention. To be clear — we are always declining improvement opportunities. But if you have this superpower, you do so effectively and powerfully, in ways others may not understand. Like Federer, who resisted the impulse to shortcut his recovery, you say no. These three capacities are not completely missing for most people. We all possess them in small quanta at the very least. Developing them into superpowers does not come naturally or without effort. It requires hard work and diligence to achieve that level of performance. Just ask Federer. Or Dr. Anders Ericsson, of Deliberate Practice fame. His study of high performers shows that they rarely accomplish the top echelons without 10 years or 10,000 hours of diligent effort. Much of it involves focuses on the weakest skills in their repertoire, under the guidance of a skilled coach. Those who are fortunate become highly skilled in these superpowers, facing the future confidently. They aren’t afraid of all the suggestions and recommendations flying around because they understand what they need and why. It comes from their plan, not the external world, so improvement fatigue is something they are aware of, but don’t experience. However, they are open to fresh opportunities. When someone offers a new behavior or technology, they know how to evaluate them against their needs. They are careful, even suspicious, knowing that it’s unlikely that a random suggestion will fit into their plan at just the right moment in time. It’s a level I failed to reach while writing my book, Perfect Time-Based Productivity. A few months before publication I had my first exposure with SkedPal, an auto-scheduling app, but didn’t believe it would work. My hasty dismissal led me to publish without even a single mention of this new AI-driven technology. Now that I use it several times per day, my prior lack of planning is appalling! Studies show that many people become cynical and resigned about their inability to cope with a future of increasing time demands. They simply don’t see a way out. People armed with an improvement plan are free from this trap. They relax, working with what they have, rather than complaining about the stuff they don’t. Their acceptance of the way things work and how they can be upgraded is essential in overcoming the challenge of improvement fatigue. Thanks to editors Brendan Bain, Doug Toft, Nicki Franklin, Wim Annerel, Jolene Brown, Catherine Munson and Arlene Henry. This article was originally published on Medium. Kevin Kruse is one of the few authors to distinguish the importance of scheduling everything and the high performers who use this approach. In this article from Forbes magazine, he takes a look at The Value in Scheduling Everything. Throw Out Your To-Do List, Fix Your Calendar, Double Your Productivity. The CEO of Linkedin wrote an interesting article entitled The Importance of Scheduling Nothing. It’s a description of one of the principles I share in A Course in Scheduling. In a nutshell, the idea is that a skillful Total Task Scheduler creates the ideal day first, including time spent for sleep and other restful, mindful activities.